My Photo Album: Collections of photos of all my soti mobs back at home. These will definitely be a memories to recall in million miles. 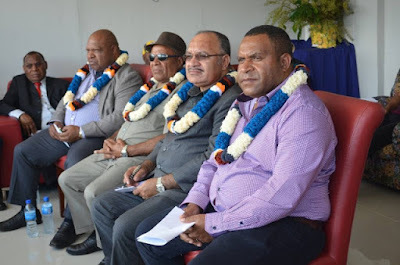 PNG Politics Is Very Interesting. Lot more corrupt practices sweep under carpet. 2. Hon Ano Pala – found guilty on the same subject –preventing the course of justice to arrest Prime Minister Peter O’Neill. 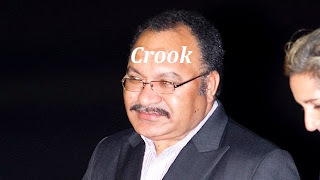 How long will it take to arrest the country’s most corrupt Prime Minister Peter O’Neill? I’m saying most corrupt since he cannot turn himself in, to face the justice and clear all the allegations labeled against him. Instead, his two blind slaves are now receiving their cut of shares for negligence to allow law to take its course. The Committal Court today ruled that it has found sufficient evidence against Maprik MP John Simon to warrant him to stand trial at the National Court. against Simon were sufficient for his court to commit the MP to stand trial. It is alleged that the two counts of false pretence with intention to defraud arose from Simon obtaining funds from the Maprik District Service Improvement Program. This saw amounts of K37,050 and K49,000 respectively paid into two of Simon's family companies; Extreme Hire Cares and Extreme Construction Ltd in 2012. These funds were allegedly paid out by the Maprik District Treasurer after threats were issued by Simon. 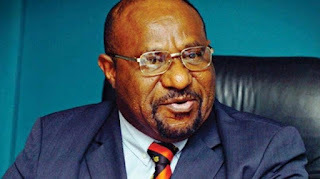 The Papua New Guinea Justice Minister Ano Pala is currently in the Boroko Police Station Cell undergoing cell procedures. Amid the three charges laid against the Minister for Justice and Attorney General Ano Pala today, he appeared calm and even took time to smile confidently at the PNG Loop cameras. The Minister was accompanied by only an office staffer and a legal representative when he went into the Fraud and Anti Corruption office. When our reporter took the picture the Minister smiled calmly and paused, to allow for the picture to be taken. During the more than two hours that he was attained for questioning, from 10 am till nearly 1pm this afternoon, the Fraud squad car park was filled with the Minister’s concerned staff and supporters. 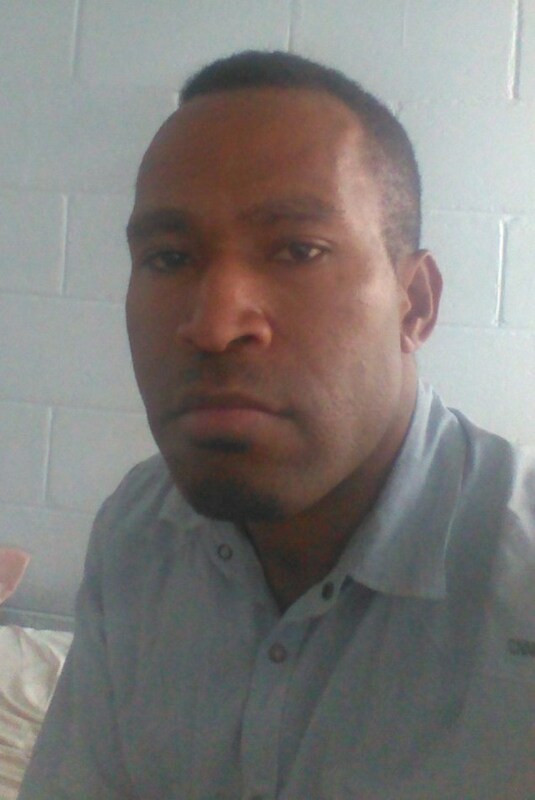 At about 1pm he was moved to the Boroko police station to undergo cell procedures where he was detained for less than an hour and then escorted to the Waigani District court. There,he and his team will apply for bail for the Minister. 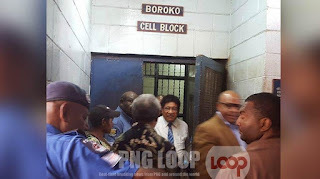 Even emerging from the Boroko cells the Minister appeared calm and smiled to the cell guards as he was escorted out to his vehicle which was waiting at the back of the station. The Minister is now at the Waigani court house. Yesterday (Wednesday 28/10/15) Opposition has delivered on their promise to move a Motion of No Confidence against the Prime Minister Peter O'Neill. Opposition held a press conference today before serving the motion on the Acting Speaker Aide Ganasi who is the chairman of Private Business Committee (PBC). In accordance with the Standing Orders of Parliament the PBC will vet the motion to ensure it has complied with constitutional requirements; giving no less than 1 weeks notice; signed by at least 12 MPs; nominating the next Prime Minister and is of national importance. As things get heated up in Waigani for the looming Vote of No Confidence, one of Prime Minister O’Neill’s close confidante and Minister for Works, Hon Francis Awesa is having a bitter split with his Prime Minister and close associate Jimmy Maladina. The tales of fraud involving O’Neill and Jimmy as main characters never ceases to end. In this new drama, Works Minister Francis Awesa is taking the duo to court for illegally and fraudulently transferring his interests in one of the biggest construction companies in PNG –Global Construction Ltd. Global Construction was started in 1994 and the registered shareholder then was Kandy No. 7 Limited owned by Derek Michael Jepson, who is casually referred to as Mick Jepson. On 1st August 1996, Mr Awesa, through his family company called Allestree No. 10 Ltd purchased about 24,999 shares from Kandy No. 7 to be a part owner of Global. Today, Allestree No. 10 Ltd is no longer a shareholder of Global, nor FA as one of the latter’s directors. 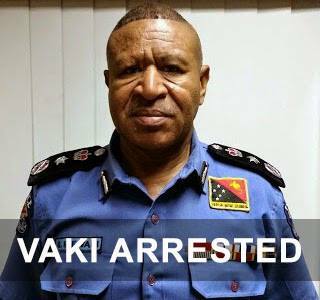 Former Papua New Guinea police commissioner Geoffrey Vaki was arrested this morning and is being detained at the Boroko police station. 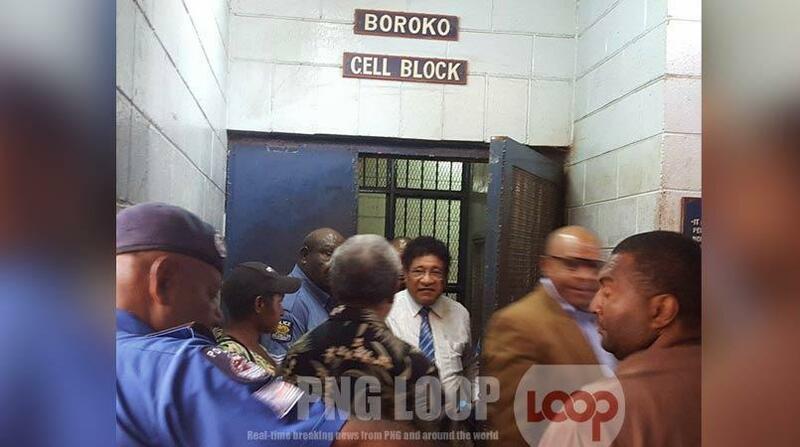 It was reported by Bryan Krama on PNG News page on Facebook he will be overnight in Boroko Cells after his lawyers failed to secure his release. His arrest comes after a bench warrant was issued by the National Court for him failing to attend and appear at the National Court. Vaki was charged with perverting the course of justice however that case was dismissed at the Committal Court for lack of evidence. 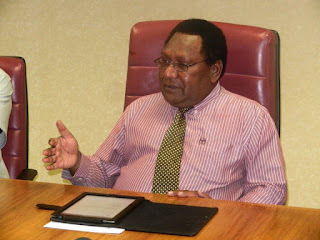 An ex-officio case later proceeded against Vaki after the Public Prosecutor elected the case to progress at the National Court before the Criminal Court. 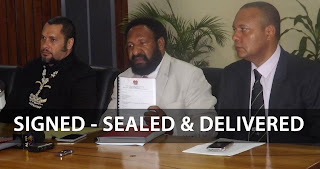 PNG Loop confirmed with the Director of National Fraud and Anti-Corruption Directorate Matthew Damaru that Mr Vaki was arrested this morning following the issuing of a bench warrant. He is facing allegations of attempting to pervert the course of justice and abuse of official powers or his powers as Police Commissioner then. 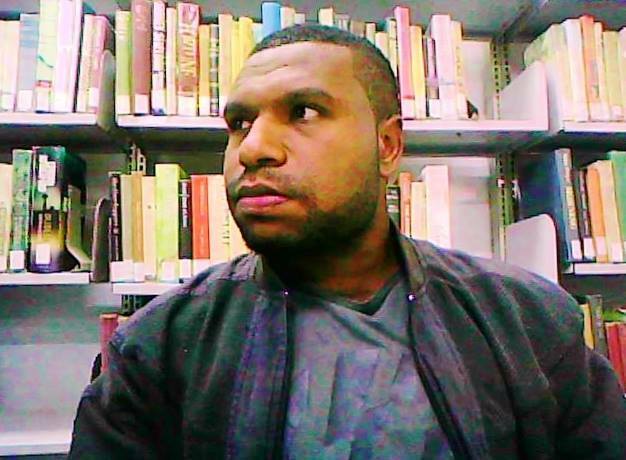 These charges emanate from his refusal to execute a warrant of arrest against Prime Minister Peter O’Neill last year. The Member for Kandep and parliamentary leader of the new Triumph Heritage Empowerment (THE) Party, Don Polye [pictured], has been re-elected to Parliament for a third term. He was one of the first members to be declared in the current national elections. 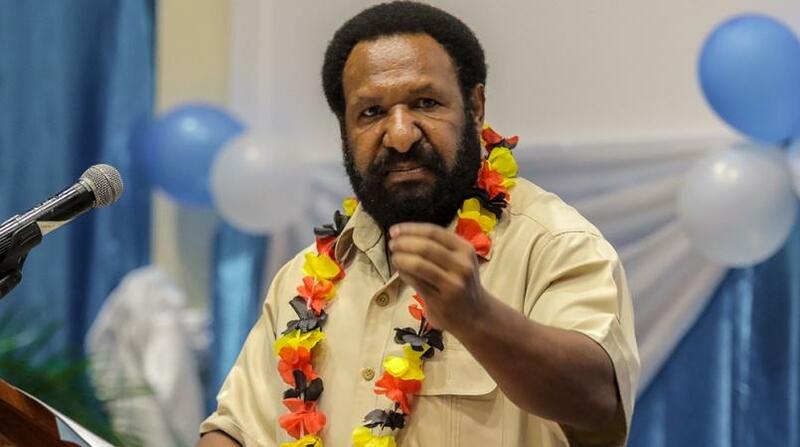 Mr Polye has won three elections on primary votes alone in the new preferential voting system, which was introduced in 2007. His first win was in the 2007 general elections and, then, after a successful appeal by an opponent, his second was in a by-election the following year. The people of Kandep love this man so much because he has rought many infrastructure services to the rural areas of the electorate since 2002, when he was first elected to parliament. During his period in office he has also contributed much to the nation as a member of parliament and senior minister. Mr Polye is one of the most influential, efficient and successful leaders in the country. It all started when I was in preparatory school in the mountains of the Highlands of Papua New Guinea. Most of my early childhood life was spent in Kosal village of Wapenamanda District Enga Province. At that stage, I did not remember what education is and its importance. It was like my playground, my favourites were kaukau, marble and my play mates. Every morning I wake up, the first thing in my mind is my teen ages and my main motive seemed to be playing with them. When my parents told me to go to school I always took the chance playing with my teens and that’s all I thought. But I did not realize I was going through a process. Beside all these, with this childish memo, somehow, somewhere in my mind, I loved not education but the SOUND of it. There was always something a little strange about the collapsing kin. 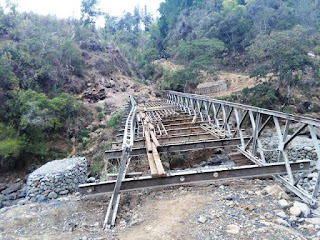 First we were told by Peter O'Neill and his corrupt cronies Marape and Pruaitch that the kina wasn't going down or that the slide was only temporary. But as we saw days of kina sliding turned into weeks and weeks turned into months, that lie no longer worked. Today we have a clear graphical record of a slide in the kina that began nearly from the moment that Peter O'Neill was re-elected and took office again and has continued up to now. The Masters of Deception now admit this is the case but say that they've got everything under control. Most certainly not. If you look at the rate at which the kina has been declining against the US dollar in recent weeks you can see that the slide started becoming steeper than it was before. The Masters of Deception can lie all they want but the bare facts don't lie. Peter O’Neill’s purging of opposition exercise reached its new height. Yes, it happened to be the Chief Magistrate Ms Nerrie Elliakim this time. Two lawyers Greg Egan and Terence Lambert acting for Task-Force Sweep members were banned from entry. Two high ranking police officers namely Thomas Eluh and Timothy Gitua were terminated in the most dishonourable way. Unsuccessful attempt to obtain arrest warrant against Mathew Damaru, Timothy Gitua and McRonald Nale of Jema Lawyers. Request for Suspension of Chief Magistrate. Chief of Task-Force Sweep Sam Koim was reported in the Post Court last week as saying this is a coordinated attempt to ‘obliterate’ his team. One wonders why the Chief Magistrate? Who will we blame for misuse of funds? Senseless leaders and bureaucrats have abused the rights of the 7 million plus people to development benefits and better services. AUS Aid and all other development funds for this country are not being well utilized and are misused. But I wonder who actually mismanage and fraud all the funds. Who can we blame for all the corrupt practice? I believe there are four groups of people responsible for the socio-economic problems in the country and not only the government. First, the members of parliament should make the right decisions in the best interests of the people. Our MPs should channel funds into the appropriate projects and appoint the right people on merit than beneficiaries to account for all the consequences. Our leaders shouldn’t entertain their relatives or political allies to run the show. They should understand that they need to uphold the peoples’ interests at all costs. Corruption is not far in office where you have your friends working beside and unfortunately we have adopted this concept and has become systematic in all levels of our government systems. I wish to thank the PNC-led Government under leadership of Prime Minister Peter Oniel for llocating K15 million to all 89 districts of Papua New Guinea regardless of the population size and their landmass, etc. National Alliance-led Governemnt in 2008 with amendments to certain laws governing this, one being Organic Law on Provincial and Local Level Government. I believe every Papua New Guinean will agree with me that since Independence, such money has never been allocated to all our 89 districts. The founders of this nation and successive elected MPs had little to budget for in a year. Therefore, with windfal in budget, we are anticipating some form of growth in all the districts after a five year period. The funding is good news to all of us ordinary citizens but is a challenge for the elected MPs and their managers in the districts. Previous district leaders had served their electorates bwtween K500, 000 and K1.5 million in their annual budgets. This is 10 times less than how much an electorate recieved those days. This raises very high expectations from the general population, especially in the rural areas. The K15 million means a lot to a villager who is expecting proper road maintenance, basic medical supplies, renovation of schools and basic equipment, etc.